It is an amazing website. It was clear that everyone enjoyed the transformation process. I was intrigued by the few scenes where you can see how much taller the males were than the woman doing the makeup or photos. In the hands of a sensitive and caring photographer, the true essence and energy of the person becomes the added dimension to a two dimensional picture. Love your blog! They have a channel on YouTube, search under HollandFotostudio, some of them are wonerful, all are well done! What a great web site! 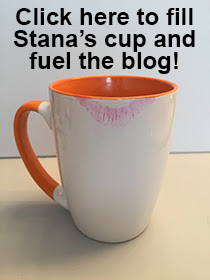 Thanks for posting the link, Stana. By the way, with the incredibly shrinking dollar, a session would now cost $570 (up $4 since your original post). Maybe having them do a makeover now would be a sound financial decision. Michelle, thanks for the tip on their YouTube channel. I'll have to check that out. Thanks for the link, much appreciated. having done many m2F shoots for both web and print, I get immense pleasure from such places.